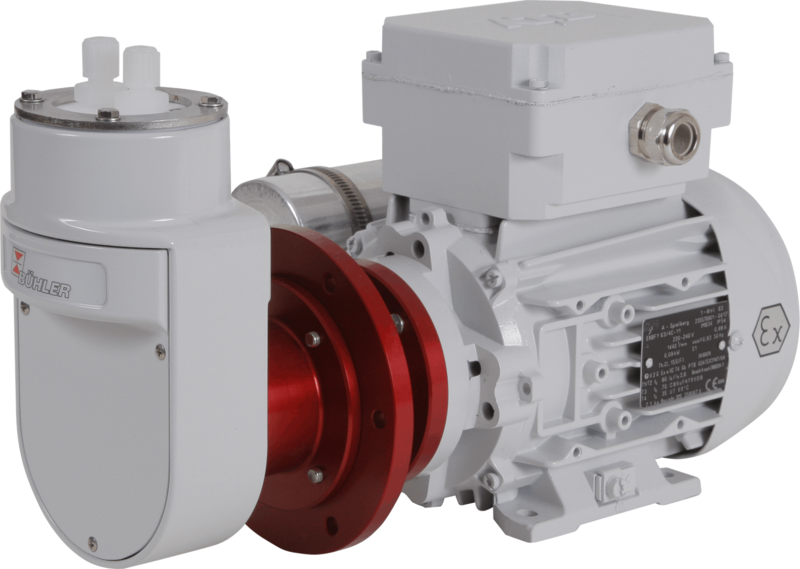 A low volume manifold designed specifically for gas sampling! 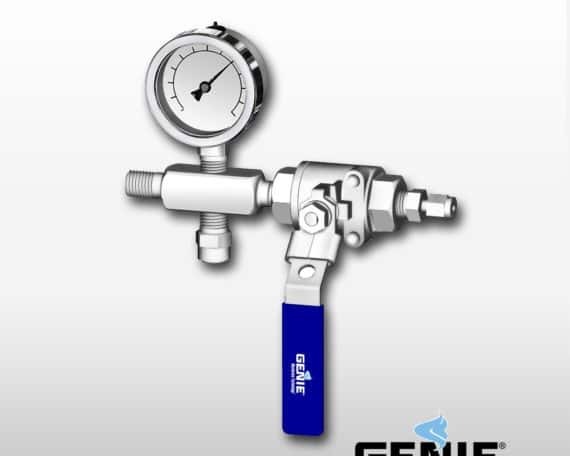 The Genie® Regulator Accessory Manifold consists of a Genie® Manifold with the following optional parts attached: pressure gauge, ball valve, and relief valve. 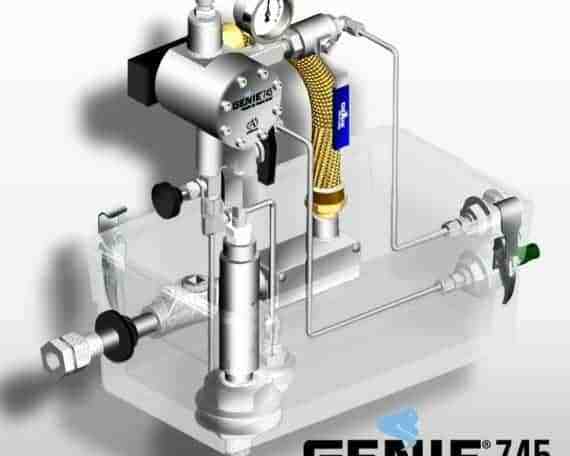 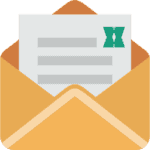 This Sampling System is intended for use when analysis for process control is being performed on a natural gas stream having large quantities of free liquids continuously present.